Local TV review Füchtorf 2014 - in the rain! 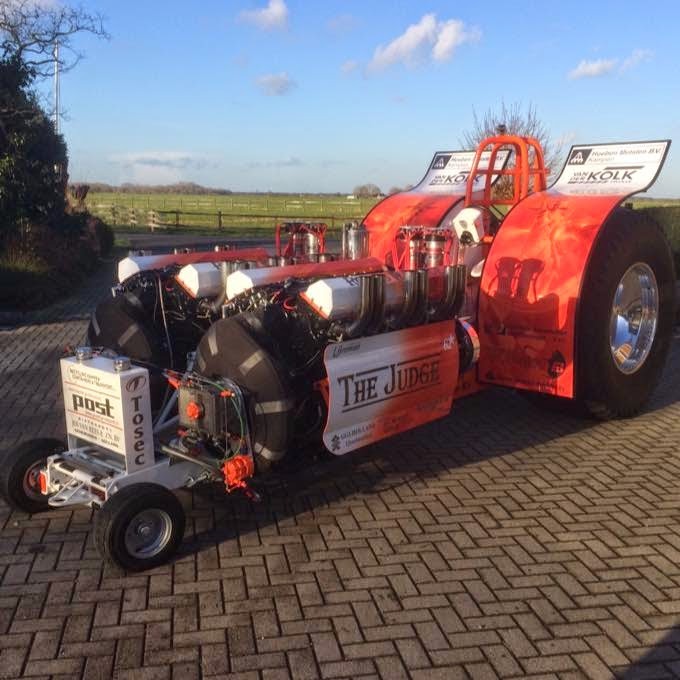 The the Judge Pulling Team from IJsselmuiden in the Netherlands, have built a new 3.5t modified tractor during the winter. 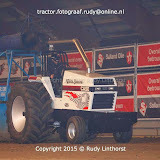 The twin RR Griffon V12 tractor got a new Domex 700 wedge frame and a new ROP. 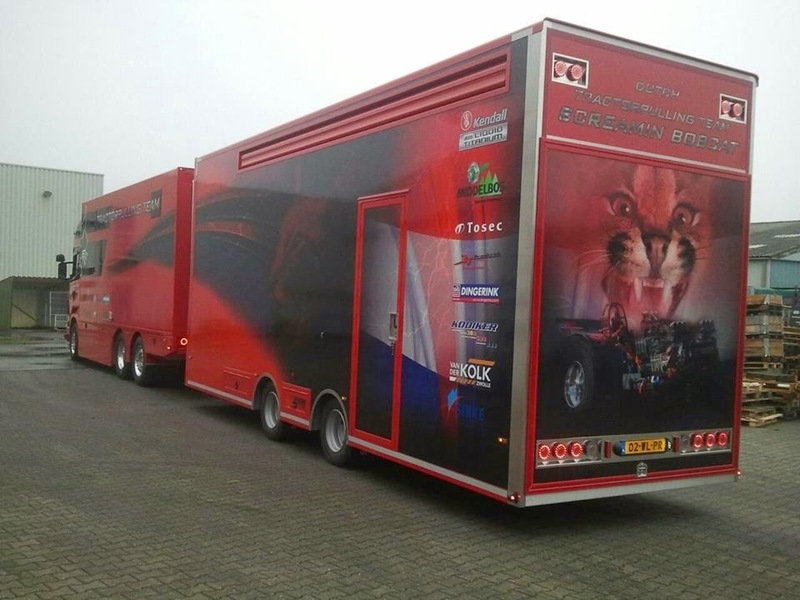 The new ROP was constructed and drawn by Berrie Boer (Screamin´ Bobcat Team). 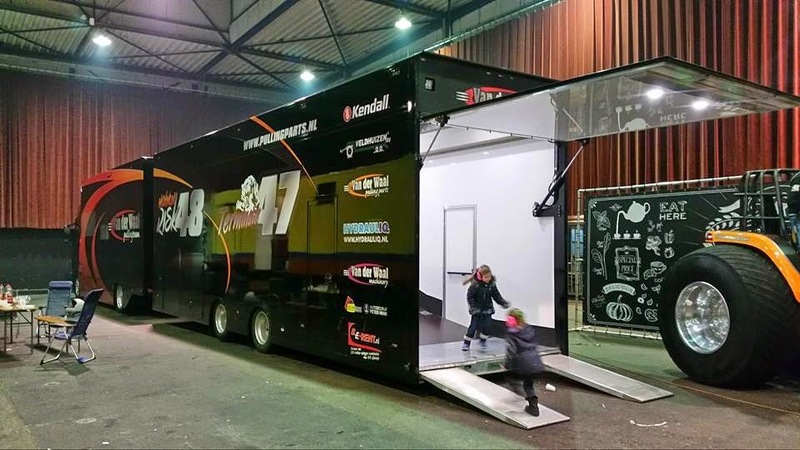 After that, the ROP was built by Rene Geerts (Mission Impossible Team). 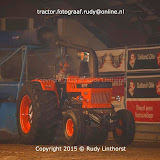 The crossbox of the tractor is home made and the gears were built by Benny Vreeman (Team Vampire). The drive shafts were built by Vreeman, too. 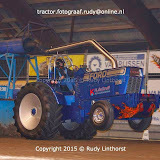 The DAF rear axle housing with the Rockwell ring and pinion gear are of the old The Judge modified tractor. 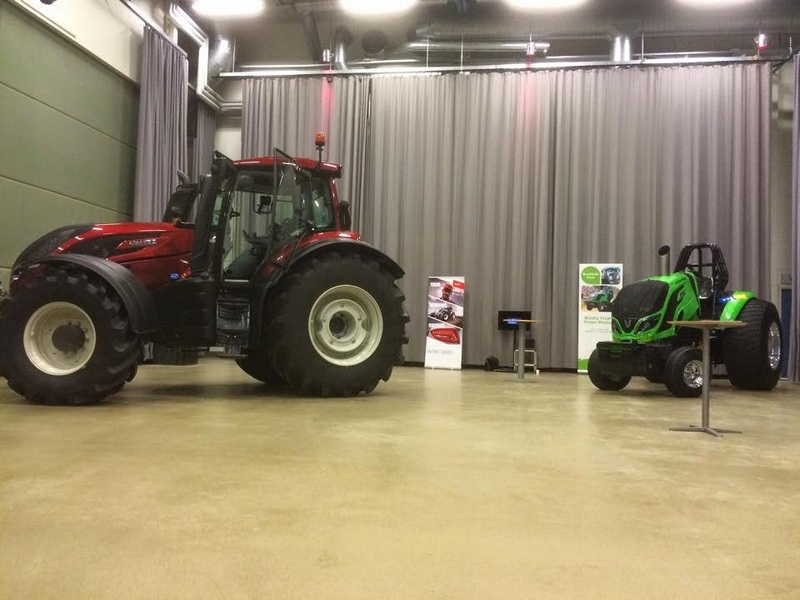 The new tractor is 35kg lighter than the old one. And last but not least, the new The Judge got a new paint job and a new design. 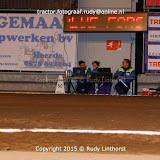 The team will compete in the Duch Grand National Championship this year. 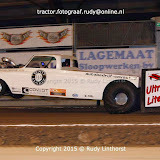 After a lot of work in the last months, the new component super stock called ,,Maximum Risk´´ of the van der Waal Pulling Team from Etten Leur, in the Netherlands is ready. 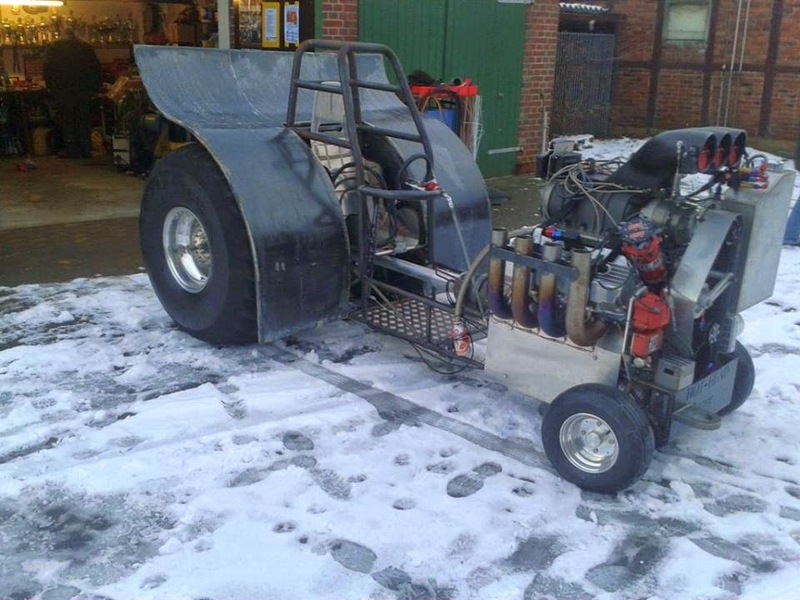 The component super stock tractor got a Case IH Magnum 335 hood, a home made wedge frame, a home made rear axle and a completely new constructed engine. The tractor got a 10.2 l Case IH engine with 3 turbocharger on alcohol and a home made intercooler. Also, the pistons, rods, crankshaft, valves, manifolds, fuel pump, the cylinder head and many other parts on the engine are home made. The tractor got a set new rims and Firestone Puller 2000 HP tyres. 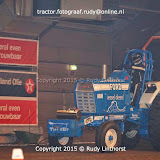 The Team made the design of the tractor and Marco Mathijssen from M2id worked out the new design. 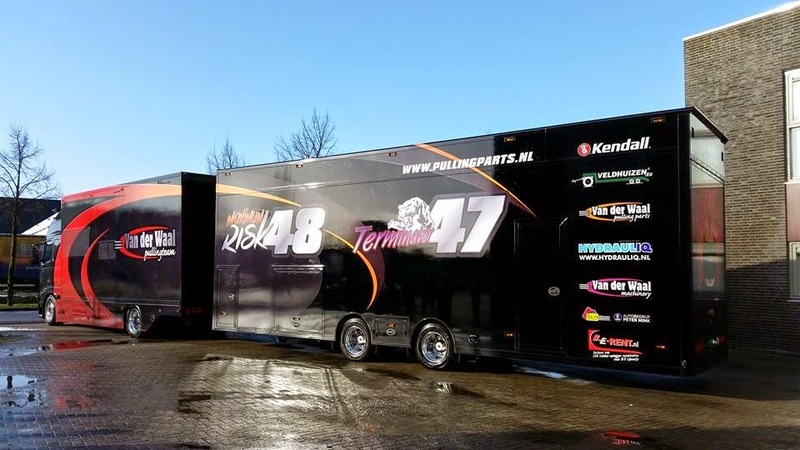 The Team around Rob van der Waal will compete with their new Maximum Risk in the Dutch Grand National Championship and in the Euro Cup this year. 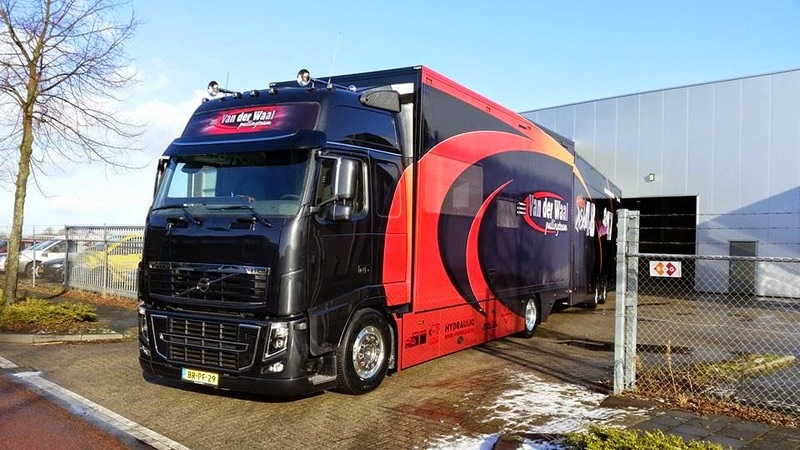 The van der Waal Pulling Team from Etten Leur, in the Netherlands has built a new Transport vehicle. 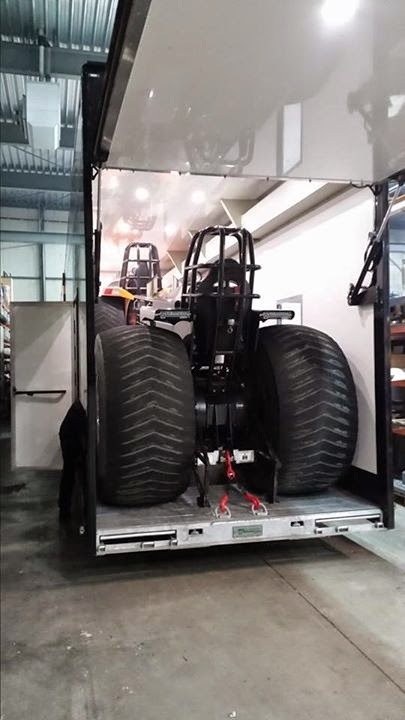 In the new new trailer is enough space for their both Super Stock tractors (Terminator and Maximum Risk). The towing vehicle is a young Volvo Globetrotter truck. 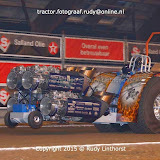 Green Fighter wins in Zwolle ! 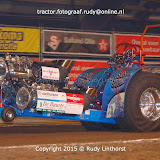 The Green Monster Team from Füchtorf in Germany, won the heavy / super modified class at the indoor tractor pulling event in Zwolle, the Netherlands. Enrico Vollerthun made a very nice pass in the finals, with 78.48m. That was enough for the win. 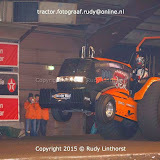 In runner up position it was Hans Zuurbier with Whispering Giant and the 3rd place went to Roy von Hout with Green Spirit 6. 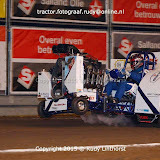 The last win of the Green Fighter in Zwolle was 8 years ago, in 2007 ! 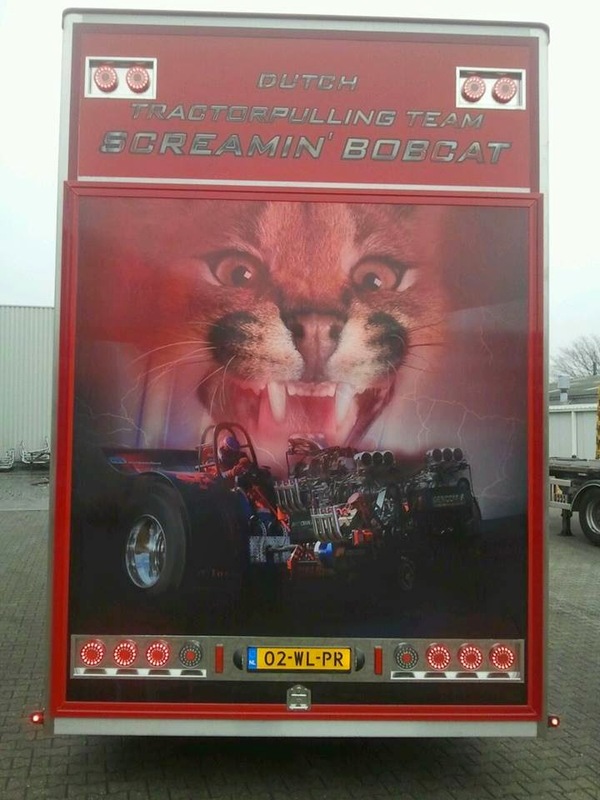 The Screamin´ Bobcat Team from Ijsselmuiden in the Netherlands, has a new transport vehicle for their both modified tractors called ,,Double Screamin´´ and ,,Wicked Screamer´´. 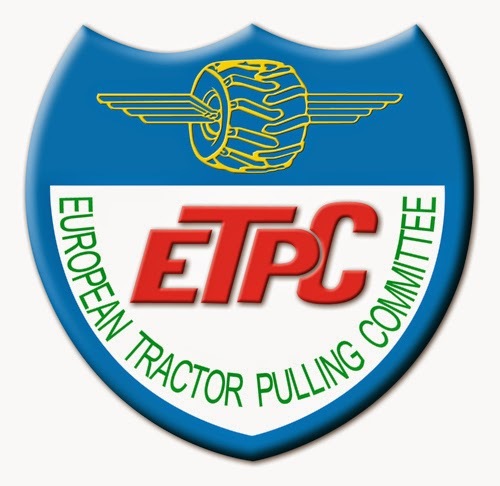 In the new trailer is enough space for two pulling tractors. The towing vehicle is a Scania truck. 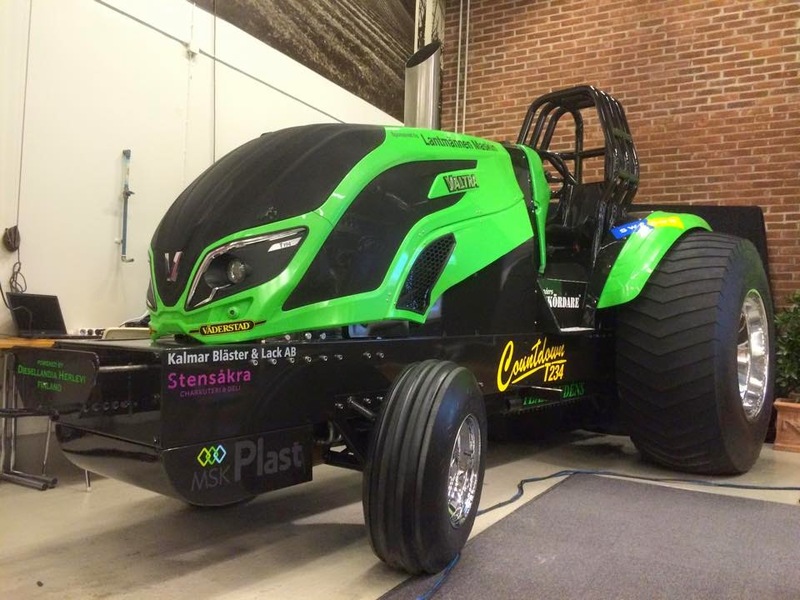 After a lot of work in the last few weeks, the swedish Valtra pro stock called ,,Countdown´´ is ready. The tractor got a new T4 series bonnet, new lighter fenders, a new lighter rear axle and a set new rims with new Puller 2000 HP pro stock tyres. The team from Morlunda, in Sweden will compete in the Swedish Championship and in the Euro Cup this year. 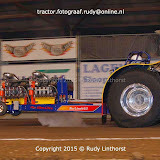 Don't forget, it's Indoor Pulling in Holland this weekend! For the first time we'll see Hot Farm action on friday evening! 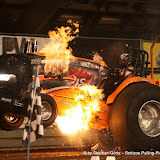 Keith Ford has done a nice job of photographing at Gordyville! 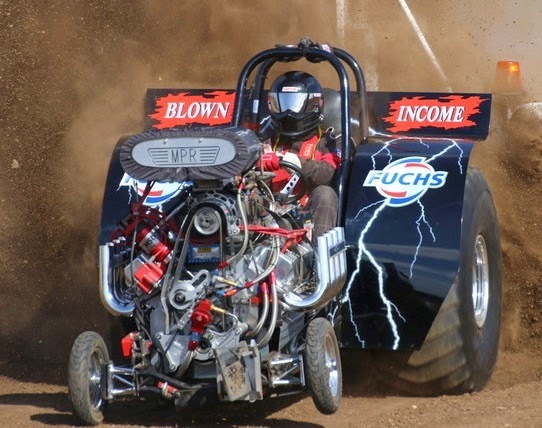 As the rest of the pulling world is working in their shops or sniffing fumes at indoor events, the Aussie season is in full swing! This company has some rather interesting products! 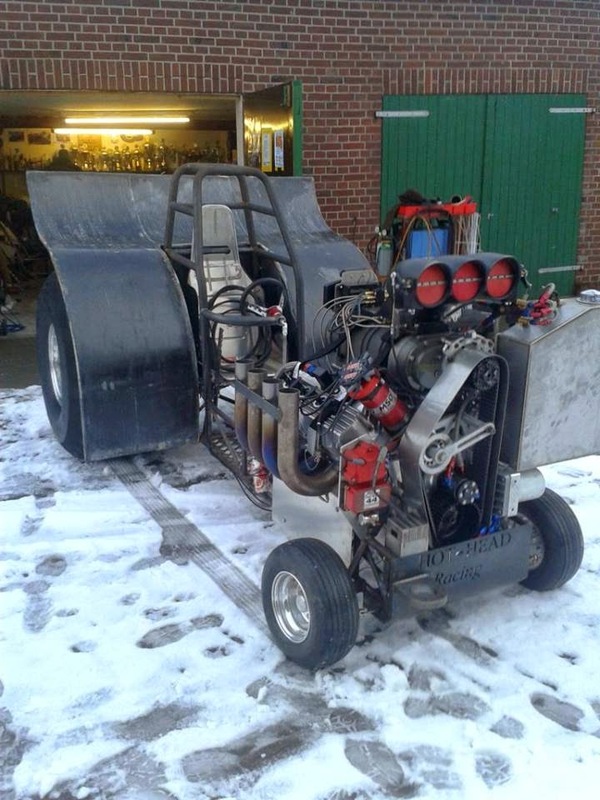 The Team Centurie from Odder in Denmark, are building a new twin griffon tractor for the modified and super modified class at the moment. 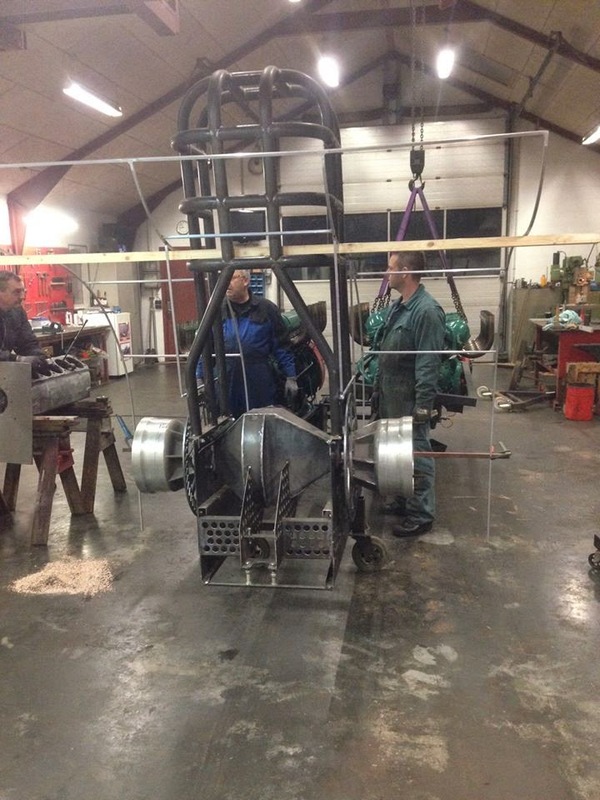 The old tube frame of the Red Thunder will be replace by a new Domex 700 wedge frame with a new home made ROP. The tractor gets a new modified Scania rear axle with ZF planetary and a SCS reverser. 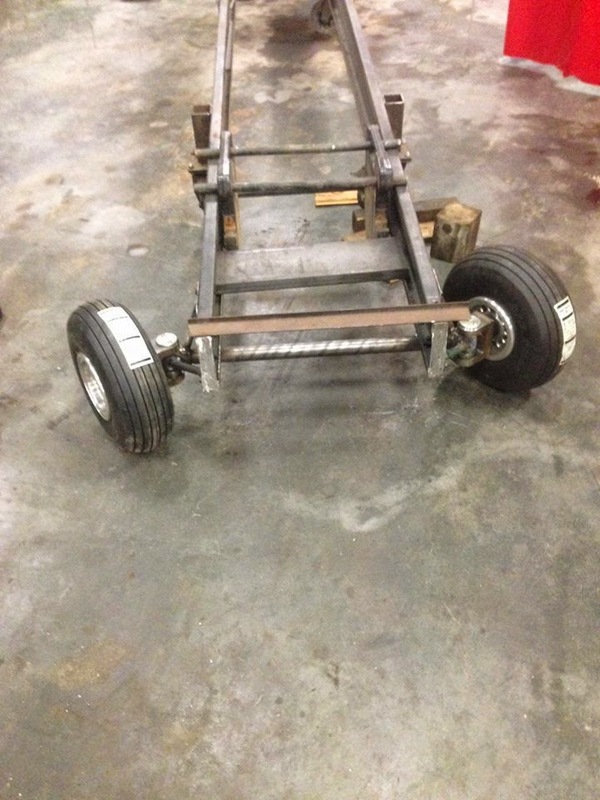 The new rear axle housing is home made. 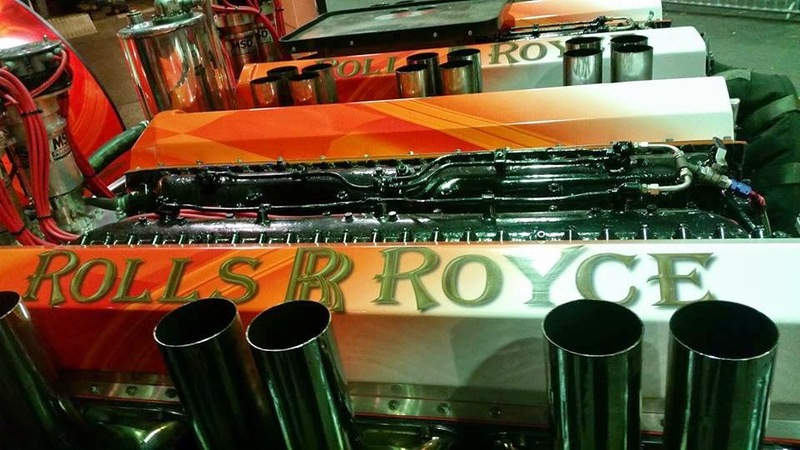 In the modified class, the team will drive with 2 RR Griffon V12 engines on petrol. 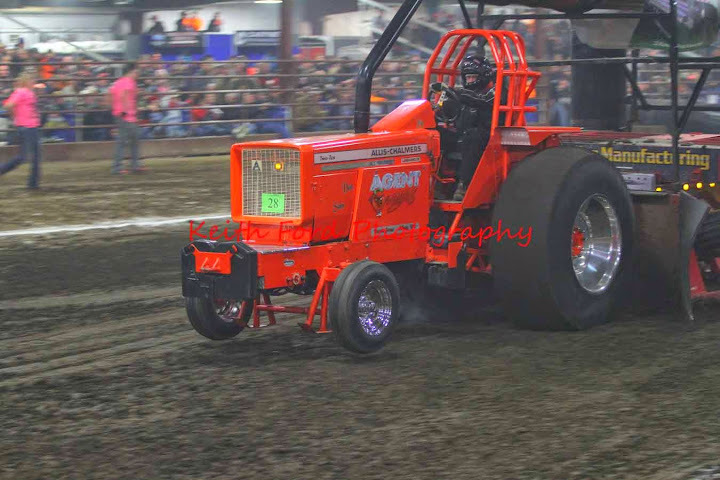 For the super modified class, the tractor gets a third engine , a Rover Meteor V12 tank engine with a blower on methanol. 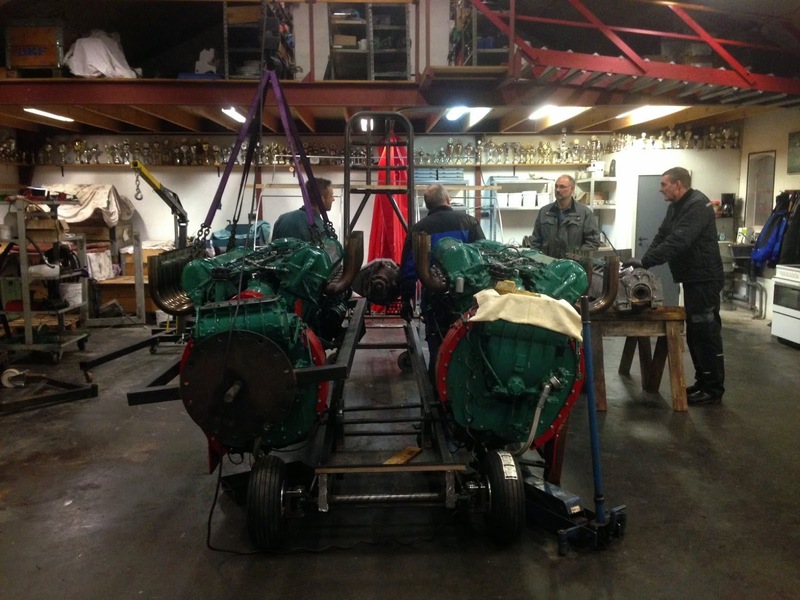 The position of the Rover Meteor engine is in the middle, behind the both RR Griffon engines. 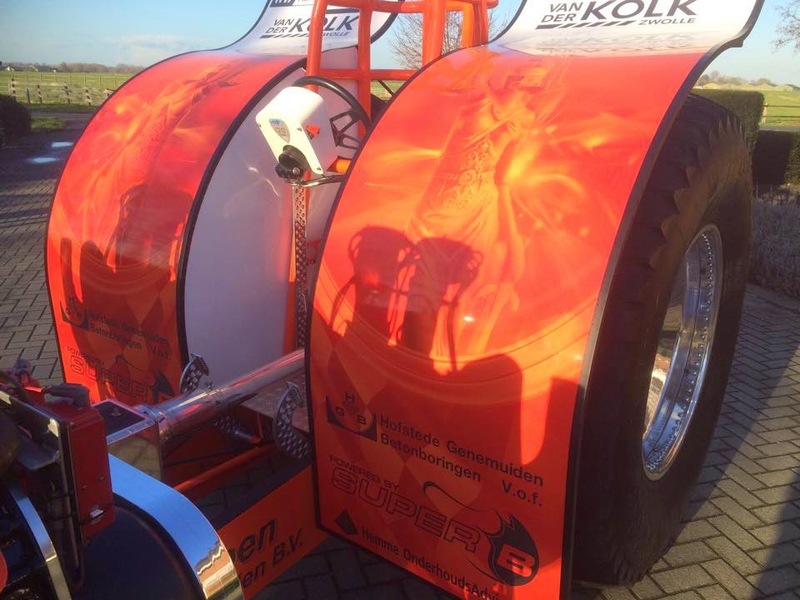 The first start of the new Red Thunder is planned for 2016 in the Danish Championship. 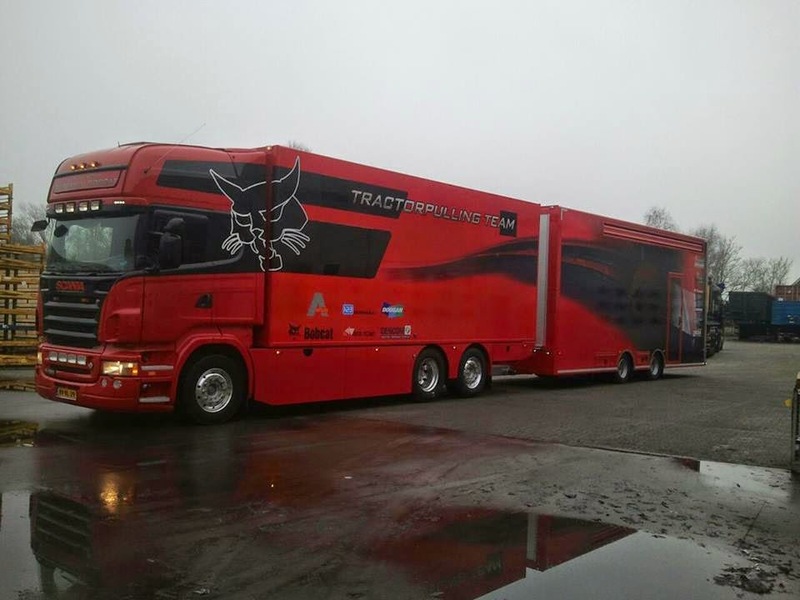 But, the team has decided to drive with the old Red Thunder in the Danish Championship this year. 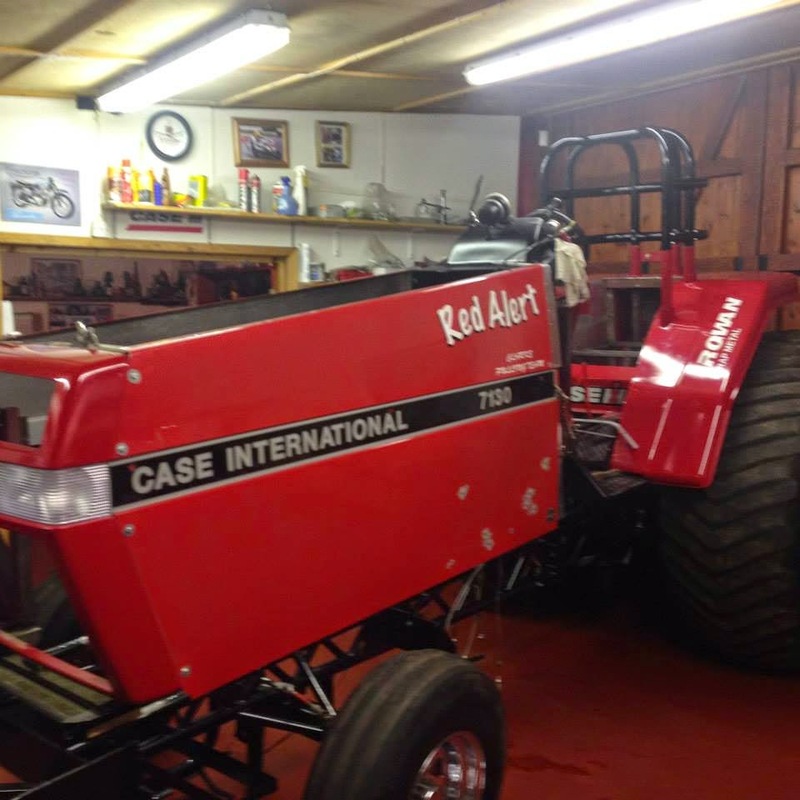 The Case IH called ,,Simply Red´´ from Great Britian gets some changes at the moment. At the end of the 2014 season, the team had decided to revise the Case IH engine. The engine gets a set new Hypermax rods. 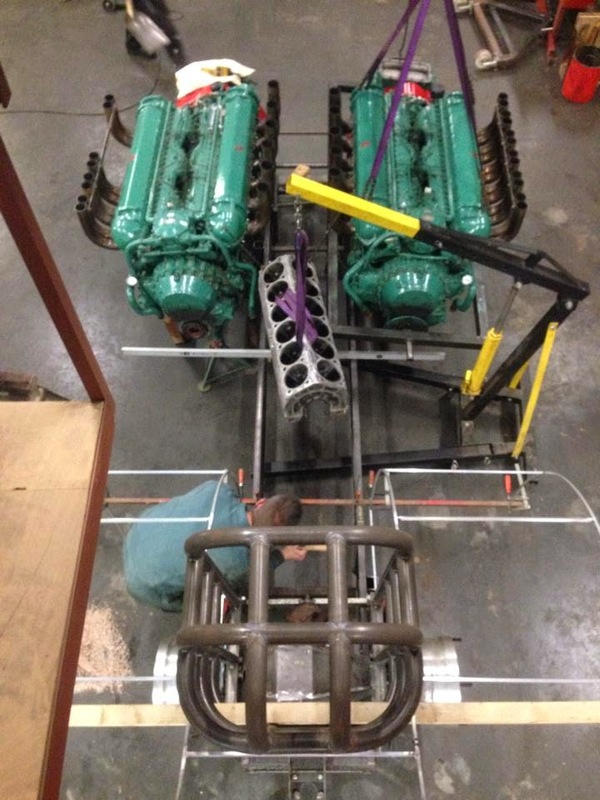 The team made over 140 runs with the old rods of the engine. 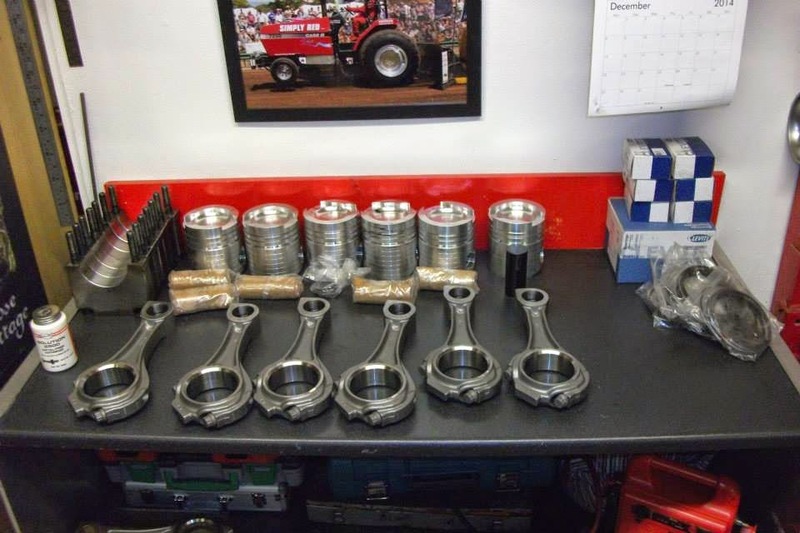 Also, the engine gets new van der Waal pistons and a brand new crankshaft with standard bearings. 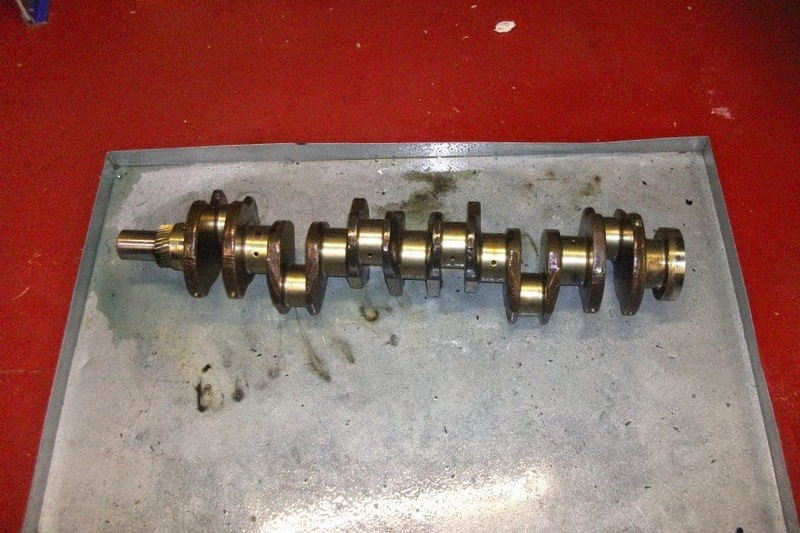 The new crankshaft was balanced by a local engineering company in Blackburn, Lancashire (GB). The intercooler of the engine moving 175mm more forward under the hood, which allow more access to the front of the engine. And last but not least, the tractor got a new hood. 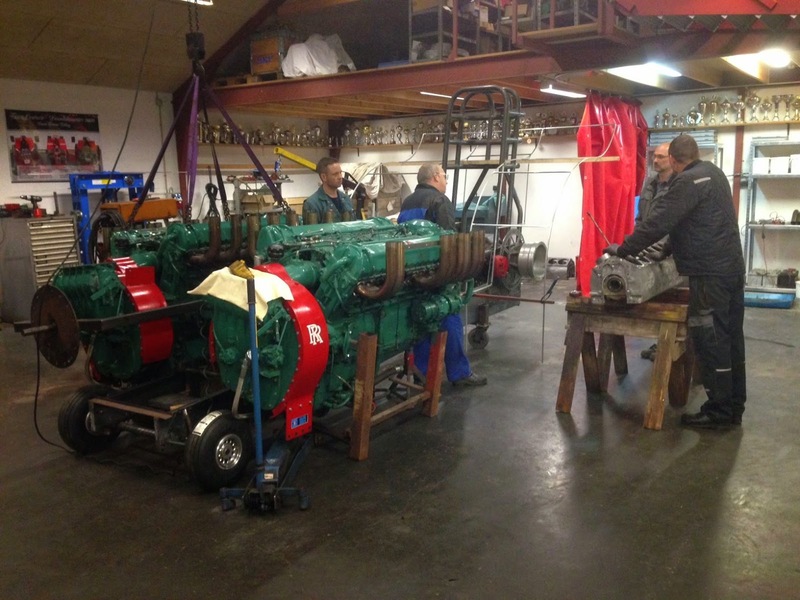 The team bought one of the old Red Alert hoods of the Clarke Pulling Team from Buckingham in Great Britain. 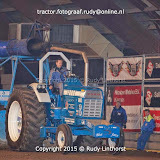 Zwolle 2015 competitors are known ! 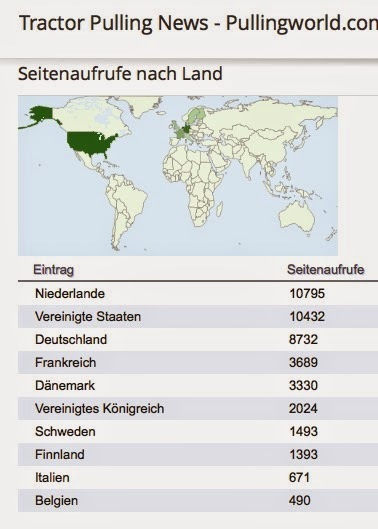 Sign up for Füchtorf Farm Stock competition! First DTTO events are known !